When most people think of injuries caused by automobile accidents, they think of broken bones, internal injuries, cuts and bruises, and concussions. However, there is an injury that can be even worse called a peripheral nerve injury. 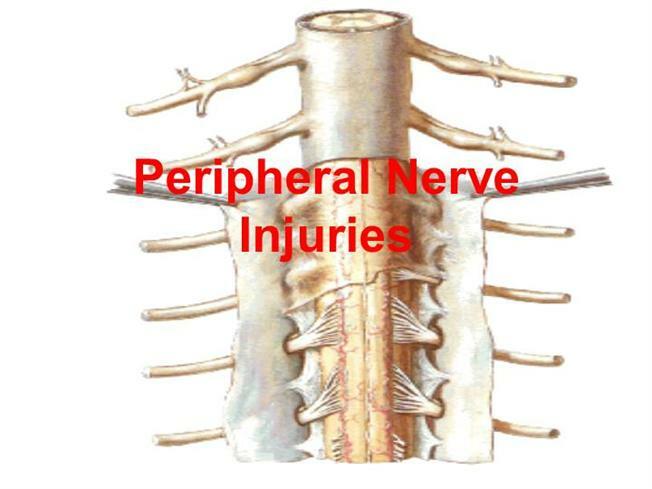 Peripheral nerve injuries are injuries to the peripheral nerves, which cause patients pain. In some cases, victims may have mild radiating pain which may go away, but in other situations the victim may be completely debilitated by the pain. Almost half of all peripheral nerve injuries are caused by motor vehicle accidents. Other common causes are gunshot wounds and pedestrian injuries. The most common peripheral nerve injury occurs to the radial nerve that runs down the arm. That nerve can be injured when a person’s arm is broken. There are some common symptoms when peripheral nerve injuries occur, including weakness in the muscles, pain, issues with being touched, problems moving muscles, and more. There are some treatments available, depending on how serious the injuries. For serious injuries, surgery may be needed. If the injuries are very severe, surgery may not be successful. Rehabilitation may also work for some people. Some people with severe peripheral nerve injuries may never recover and could spend a great deal of time in pain, which can have severe consequences on their quality of life. If you have suffered a nerve injury in a Houston automobile accident, you should speak with an attorney. An attorney can help. Call the Houston automobile accident attorneys at Kennedy Hodges at 855-947-0707. We will offer you a free consultation on your case. You can also visit our LinkedIn page to learn more.